RED FLAG, FALSE FLAG: Why did Zionist Israel spend so much time and effort helping Sri Lanka prepare for the terror attacks before they occurred? Wednesday, April 24th: WHAT HAPPENED TODAY?—Just take a look at these crazy headlines! A UC Davis scientist flying in a pollution-detecting airplane provided the first, and so far only, estimates of methane emissions spewing from the Aliso Canyon Natural Gas Storage Facility in Southern California since the leak began on Oct. 23, 2015. Those estimates were provided to the California Air Resources Board in November. Pilot and UC Davis project scientist Stephen Conley continues to measure emissions from the still uncontrolled leak, which has displaced thousands of residents in the affluent Porter Ranch neighborhood in northern Los Angeles. On Jan. 6, Gov. Jerry Brown declared a state of emergency in the community. To date, Conley estimates that the leak has emitted nearly 80,000 tons of methane, or about 1,000 tons per day. In early November, Conley took his first three flights downwind of the facility in his specialized airplane. He was astounded by the figure he recorded: Roughly 1,200 tons of leaked methane per day, or more than 100,000 pounds an hour. The California Energy Commission contracted with Conley to do the initial flights under an existing contract with UC Davis. The airplane belongs to Conley through his private business, Scientific Aviation, a research flight company. Those flights took place Nov. 7 and Nov. 10. Emissions were mapped from as low as 200 feet above the ground to the top of the methane plume. The terrain of the facility is choppy and inaccessible at points for ground vehicles, and even satellites are limited in being able to pinpoint the levels of emissions escaping from the source. Measuring the emissions from the air proved an ideal method to get a reliable estimate. “We have a fully equipped airplane, and this work is perfectly suited for it,” Conley said. It’s not just any airplane. Aboard the aircraft is a greenhouse gas analyzer that measures methane plumes in real time. A differential GPS system provides precise wind readings, which is vital for quantifying sources of greenhouse gases, including methane. The most recent flight was Dec. 23, when Conley recorded approximately 30 tons, or 60,000 pounds, of methane per hour. Methane is a powerful greenhouse gas and roughly 25 times more potent than carbon dioxide. Porter Ranch residents downwind from the plume have complained of headaches, nausea, dizziness and nosebleeds. 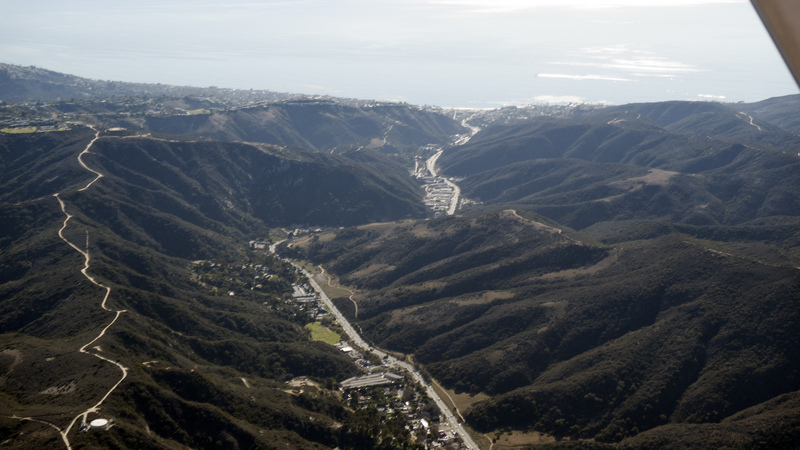 Southern California Gas Co., which owns the Aliso Canyon storage facility, announced in late December that it does not expect crews to plug the leak until at least late February or March. The Aliso Canyon facility is the largest underground methane storage facility in the western United States.